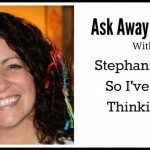 Friday means it is time for another round of Ask Away Friday. You know the drill! 2 bloggers + 10 questions + link up = an awesome way to get to know your favorite bloggers and discover new ones! Lisa and I met after I noticed she started commenting on a lot of my posts. I don’t know how she found me, but I”m glad she did! Lisa writes at Expandng where she talks about family, fun, and photography. I have fallen down the rabbit hole of her blog more than once and I adore her photography posts. As someone who is trying to get better with her big girl camera, I appreciate a blogger like Lisa, who shares her knowledge generously. 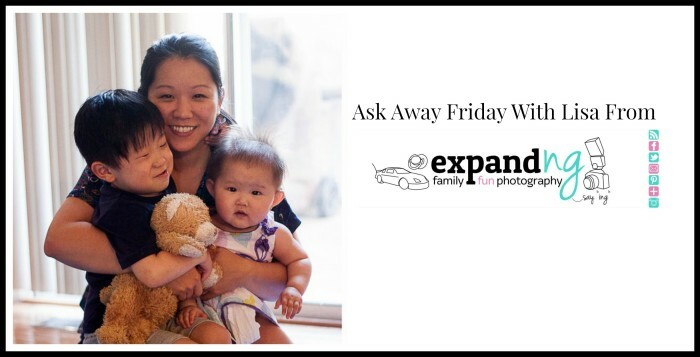 For this session of Ask Away Friday, I asked Lisa where she’d travel if she had 3 days and an unlimited budget. Make sure to read that answer and the rest of them here on her blog. 1.You recently re-purposed a post (Christmas in July: 10 things to do now) and I thought it was very well-done, the re-purposing and the content. Do you re-purpose posts often? What drives you to do it? Thank you! 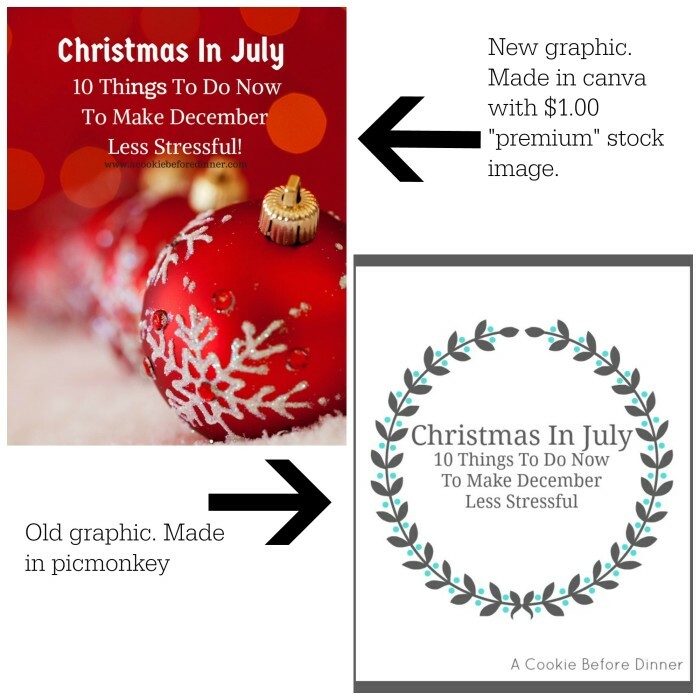 Christmas In July was the first post I’ve ever given a make over and republished. The response has been really positive. I republished it because I knew the content was evergreen- Christmas in July is always going to be relevant each year when July rolls around. People are always looking for ways to destress! I gained a lot of knowledge in the year between the time I wrote the post and the time I republished it. The first time around, I hadn’t set SEO keywords or anything! I also knew my graphic design skills had grown a ton and I could create a better image. Here is a side by side of the first one and the new one. Finally, the content was really solid but was published at a time when my blog wasn’t ready by many people. It wasn’t linked up to any linky parties. I don’t do a ton of those, but last year I wasn’t doing any. Comparing the same month last year to this year, I have five times the amount of traffic that I did before. I have a list of about 25 posts that I am going to give a small make over to. Some will just get a new graphic, be repinned, and shared on social media again. And others will be republished completely. Unless someone has time to fall down the rabbit hole of your blog, they might be missing some of your best stuff! They only way they’ll find it is if YOU put it out there! 2.What is your favorite topic to blog about? I love writing posts where my humor really shines through. Some of my favorite posts are the ones where hopefully the reader cracks up while they read. Want to see what I’m talking about? Read about why I hate my underpants. I really love writing about blogging topics and motherhood, but the thing I love writing the most is reviews and sponsored posts. I ADORE the challenge of working within the parameters of the brand while staying true to my core audience and voice. It often feels like a huge puzzle. I feel like I grow a bit more as a blogger every time I do one. It is really tough sometimes! My review of Perfectly Posh products is probably the best example of my hard work paying off. This post is sitting in the #1 traffic spot on my blog right now. Kids, take your reviews seriously and do them well! Insider tip? If it is doing well, let the PR person that you’re working with know! You better believe that I made sure that Candy (the rep) knows that she’s got the #1 traffic slot right now. I also like writing Five Minute Friday posts. Each Thursday night around 9:00 pm a prompt is given on twitter. The deal is that you’ve got 5 minutes of writing time to work with before you hit publish. You’re not supposed to go back and make major edits or over think things. This link up is hosted by Lisa Jo Baker. You can find the Five Minute Friday gang on Twitter around 8:00 pm EST with the hashtag #fmfparty. 3. “Things I’d Find in My Mom-Car If I Ever Had Time to Clean It” was the post that hooked me to your blog. What was the motivation for that post? 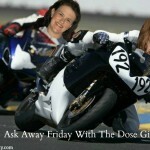 That post was a prompt given by Rabia and Lisa for Tuesday Ten. If I remember correctly the prompt was something like 10 Things You’d Find In My Car. I took that and spun it around into Dirty Mom Car Confessions. 4. And your the blogger who introduced me to the book “The Divorce Papers” (which was a fascinating read!)! Would you ever compile a similarly-styled book for yourself? Your kids? The Divorce Papers was a From Left To Write book club book. I love blogging through these book club books so much because instead of writing a typical review, you get to write a post inspired by the book you read. For The Divorce Papers, I wrote about being a correspondence hoarder. The story is about a couple getting divorced and their lawyer and is told of the book is told through letters, emails, memo, and legal briefs. I loved the style of the book, I thought it was quite clever! I have a book in me, but it is likely going to be more of a memoir. As for leaving my legacy behind for my kids, I am trying to get better about writing a sentence or two everyday about what we did or a milestone the hit that day. 5. What are you most passionate about? I am most passionate about encouraging moms. Seriously, it makes my heart sing. Two of my favorite moms on this planet. Our babies were all born the same summer. Photo credit. Tamara Bowman. I also really love books, baseball, and bacon. 6. What are some of your pet peeves? In real life: It drives me up a freaking wall when people smack their lips, make noises while they eat, or chew with their mouths open. I would prefer that people consume their food quietly. The only exception to this is with Malone. When he eats something that he finds really tasty he says “nom nom nom nom” while he eats it. It is the cutest. In online life: It drives me insane when people don’t disclose posts that are sponsored, are reviews, or contain affiliate links. A few “big” bloggers I used to read were horrible about this. I feel like they should know better. Also, it’s against the law not to disclose according to the FTC. I’ve stopped reading a few of them because they’ve lost their creditability in my eyes. 7. What’s the last “outing” you did with your kids? We took the kids to Roger Williams Zoo for the first time last week. Malone had a blast and Lola liked it as much as an 11 month old can. It is a great zoo and is just the right size! You can see all of the animals in one trip but it is big enough to not feel crowded even through their are masses of kids around. I’m home with the kids full time and we try to get out of the house everyday for a bit. Typically, we go to the playground up the road from us. We have a really short window to get out and about because Lola still takes two monster naps a day. 8. What’s the last date you had with your husband? The kids fell asleep on the way home from a BBQ last weekend. We had a 30 minute car to settle in and really talk to each other without others demanding our attention. We typically call these kinds of things dates because we’re reconnecting. We’re in a season with two small children and no family around. We don’t get to “go out” on a lot of dates together. But these small moments do wonders for us. We are also pretty big fans of the couch date, but it has been a while since we planned on! 9. 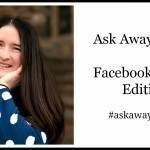 What would you like your blog to be a year from now? The content will be the same. I’ve finally narrowed down my focus a bit. You can expect more amazing ideas on how to simplify your world so you can chase the life you want. You can also expect a bit more reviews and sponsored posts, especially from up and coming brands. 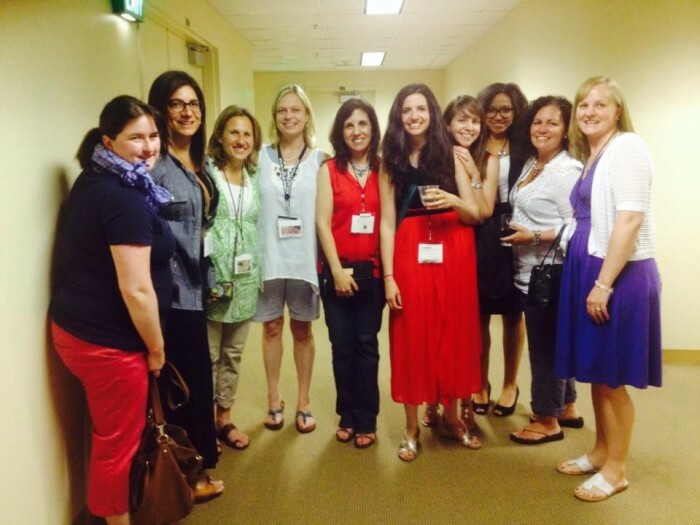 Hopefully, in a year from now this blog will be bringing in enough income so I can go to another conference and hang with this crew. 10. If you only accomplish one thing in 2014, what will it be? I’m planning a pretty amazing series for October. If I can get most of the posts written in August and September, it will be a huge accomplishment! Great questions this week huh? 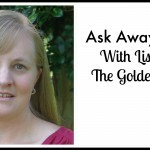 Make sure you head over to Expandng to check out Lisa’s answers to my questions too! I seriously need to go back through old posts and do some major sprucing. 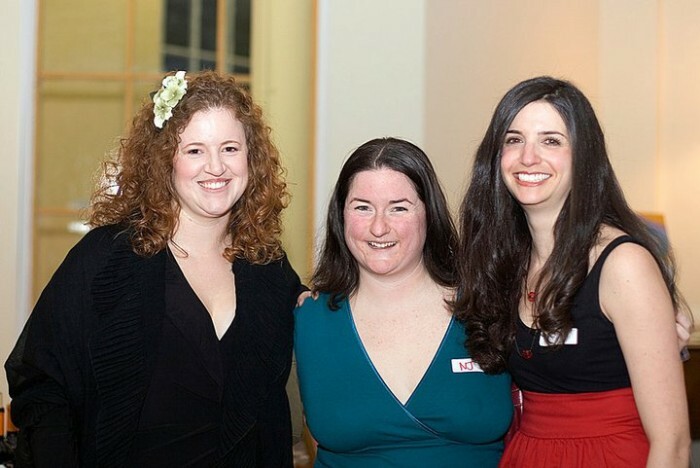 I have nine years of blog posts – and there are hardly any (good) pictures for the first six years. Scary!! Love that you count that 30 minute car ride as a date because you got to talk uninterrupted and reconnect. That is a great way of looking at things. My husband and I don’t get out for the traditional date nights, either, but I do love those evenings when we stay up late talking after our daughter is asleep. The small things can be very special. 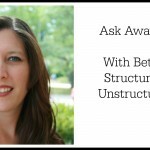 Great swapping questions with you and thanks for getting lost in my blog!!! You’re so sweet! I’ve loved following you! Again, you really did a good job re-purposing the Christmas in July post, so bravo! I can’t believe you have 25 more to do. Whoa! You’re super organized and motivated. I love that. I also love that you love doing review and sponsored posts and find them challenging. I hope you never lose your voice when doing them. And ooo, a memoir! How cute Malone says nom nom nom when eating something tasty! Kids make food look so delicious. Lastly, adorable that you and the hubs consider talks in the cars as dates because they really are if you see dates as times to reconnect! We used to do couch dates every Friday but I’ve been prepping for birthday parties recently and now have to edit photos. I should make a night a week for him though. So important to the health of the marriage. 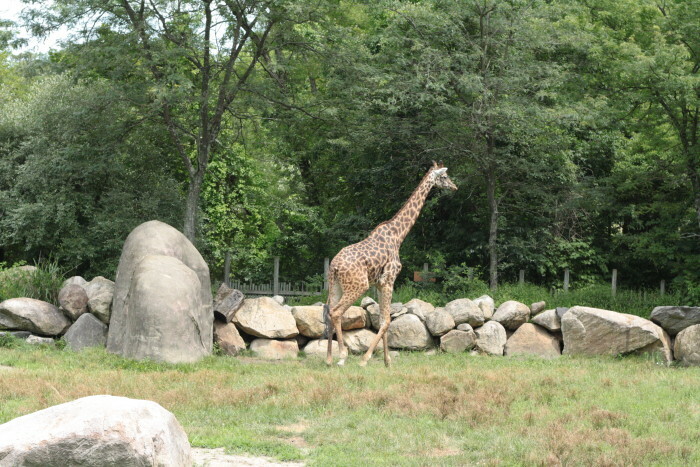 I love that you have a small zoo nearby because that’s a great close-up shot of the giraffe! Look forward to October! I’ve never done that zoo! We did the Lupa Zoo yesterday, which was interesting. Yeah, that’s the word! Fun, though. Thank you for the photo credit. Since I’m in it, I know I must have set the settings and edited it, but I don’t remember who actually pressed the shutter button! Tamara recently posted..Well, Happy Birthday To Me! Love, Cassidy. I love the idea of republishing older posts! I guess I kinda assumed it was taboo, but I’m still fairly new to the blogging do’s and don’t’s. Now I’m inspired to go back to my early posts and do some sprucing up. I love that you and your husband treasure those “reconnect” moments. Sometimes life just swirls by and we get so lost in the day-to-day stuff, it’s nice to step back for a few moments and reconnect. I’ve not met many other couples who recognize that need. Here’s hoping you have an awesome weekend and that you and your husband get that couch date soon! Your blog really has grown in the past year and I admire you for sticking with it, and making a successful go of it. Looking forward to the series you have planned for the Fall! Nancy recently posted..The Original is Always Better. Tiffany recently posted..I Should Probably UnPack Now, Right? I have reposted some of my older posts that I wrote when I first started my blog. I don’t like really doing this but I wanted to get some exposure to my old posts. The hubby and I do car dates, quite often. With little money for going out to eat and movies, chatting in the car on a dark country road are the next best thing. I love doing sponsored reviews, too, not only are they a ton of fun, but I have gotten some neat stuf and some amazing books! Have a great week, NJ! Stacey Gannett recently posted..Great Breakfast or Dessert Mini Fruit Pies Topped with Glaze!